Will 24: Legacy Affect The Walking Dead's Lineup? 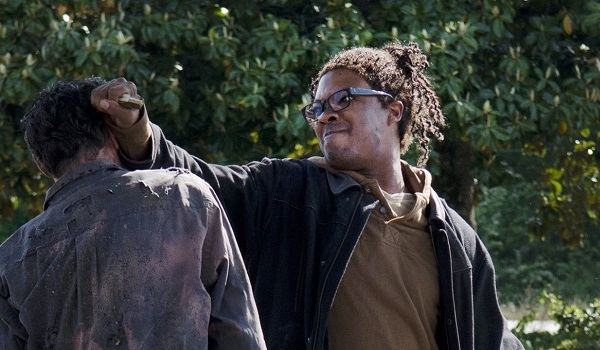 Usually when The Walking Dead kills off its characters, it’s because that’s what showrunner Scott Gimple and his creative team wanted to do, but this could be an instance where we’re saying goodbye to someone because of things happening behind-the-scenes. Earlier today, Fox announced a series order for the action spinoff 24: Legacy, which is set to star Corey Hawkins in the lead role. Does that mean that his character Heath’s days in the war against Negan will be over sooner rather than later? The world of TV is a fickle place when it comes to scheduling, and there are countless stories about actors having to vacate projects due to other engagements. The Walking Dead contracts are reportedly specific about what kinds of other roles the main cast can take on, specifically to avoid such issues. But honestly, it’s not likely that such a thing would actually hinder Corey Hawkins’ time on the show. After he blew up on the big screen in Straight Outta Compton, it seemed like Hawkins’ addition meant he was destined for some material that was meatier than even Heath’s role in the comics, but that hasn’t been the case at all. There weren’t a whole lot of people introduced in Season 6 that survived all 16 episodes, but Heath is probably still the one utilized the least out of everyone, and Hawkins really only appeared in a handful of episodes for a specific scene or two. Even Tobin got an arc to get audiences on his side. Tobin, people! As such, I can’t imagine that Hawkins’ time on The Walking Dead’s production would be hindered just because he’ll also be starring in 24: Legacy. After all, that’s going to be a limited series of just 12 episodes, rather than the 24 installments of past 24 seasons, so that’s fewer than Walking Dead’s full seasons, which are split in two anyway. Unless Gimple and Robert Kirkman had planned to give Heath a plotline that rivals Rick’s or Carol’s, then he should be able to show up every three episodes to help a small group in a small battle before going off on “a supply run.” But, of course, he might get super-murdered in the first ten minutes of the next season premiere. Hard to say. So far, almost everything about Season 7 of The Walking Dead has revolved around finding out just who in the hell Negan killed in the Season 6 finale. But if you listen close, you’ll also hear casting murmurs for comic character Ezekiel which will hopefully be followed by more memorable survivors being cast. While we wait to hear about Heath’s fate, we’ll be busy thinking about other things, like when Keifer Sutherland’s Jack Bauer is going to show up on The Walking Dead. Because that would win TV forever. The Walking Dead won’t return to AMC until October. But in the meantime, check out everything else premiering in the next few months, check out our summer TV schedule.